If you are looking for "The List" of Philippine Comedy Film Titles, then you came into the right place. After the The Philippine Horror Movie Title Database, this time Pinoy Movie Blogger will now compile complete list of every comedy films in the Philippines. List will soon be updated. Note: The list didn't include titles under the romantic comedy genre, because most romantic films nowadays require need to have comedic elements. It has become the formula of romantic films. Placing the romantic comedy titles here will just make the list a big mess since there is a big gallery of romantic films with comedic elements already. Be advised that the titles in the list is mainly categorized as comedy. 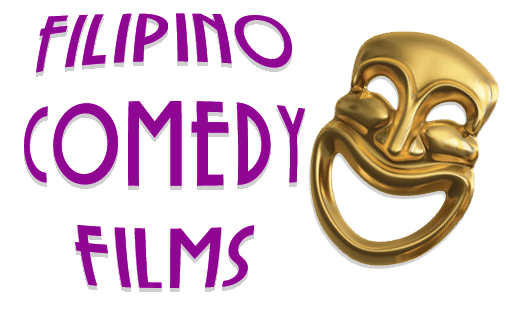 You can check out more information (directors, writers and cast) about the Philippine comedy film titles listed here on IMDB. So any favorite Pinoy comedy movie on the list? Did I miss something? If so which is highly probable, help me complete the list. I obviously don't know every Filipino comedy titles especially if they didn't receive any forms of commercial release (mostly relating to Filipino indie films) and classics. If so, then please feel free to drop by the comments section below and suggest titles that I forgot to add. I will definitely include them later on the list. Help me complete the Philippine Comedy Film Title Database.